The Double H Ranch is pleased to announce a new partnership with Peak to Brew Relay, taking place on August 9-10, 2019. Runners will have the opportunity to raise funds to sponsor Double H Ranch campers for their week at summer camp. Each summer, close to 900 children dealing with a chronic or life-threatening illness enjoy a carefree summer camp experience in the Adirondacks, completely free of charge. Many children are precluded from attending summer camp due to the seriousness of their illness. Double H Ranch is able to provide a safe experience for each child because doctors and nurses are on site 24 hours a day, a staffed and equipped medical facility and a close relationship with Albany Medical Center. The cost to provide these empowering camp experiences is $2,100 per camper. 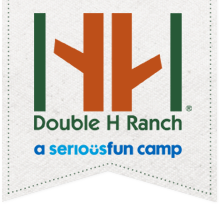 The Double H Ranch, co-founded by Charles R. Wood and Paul Newman, provides specialized programs and year-round support for children and their families dealing with life-threatening illnesses. Our purpose is to enrich their lives and provide camp experiences that are memorable, exciting, fun, empowering, physically safe and medically sound. All programs are FREE of charge and capture the magic of the Adirondacks. Peak to Brew Relay is the Northeast’s longest, most scenic overnight team-supported relay race at 220+ miles. Teams of 6-12 runners and 1-2 support vans traverse the course over 42 unique legs. The course will take Teams through the heart of the Adirondack Park and some of the most beautiful areas in the Northeast. From an epic start at the summit of Whiteface Mountain Veterans Memorial Highway to an unforgettable finish and celebration at the historic Saranac Brewery, the Peak to Brew Relay is one of the most unique and challenging events in the Northeast. To learn more about Peak to Brew Relay, visit p2brelay.com. Join the team!! If you would like more information about participating in the Peak to Brew Relay in support of Double H Ranch, please contact TJ Roode at tjroode@doublehranch.org or call 518-696-5676 x269.